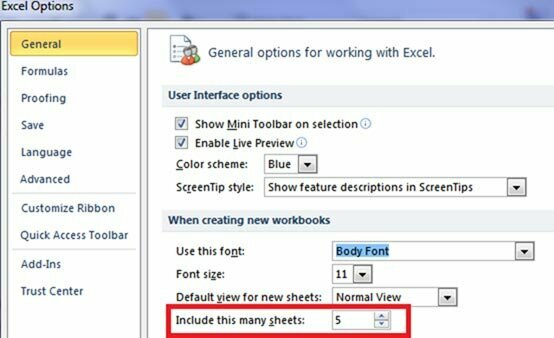 Every time you create a new workbook in Excel, you get a document containing three blank sheets. Do you ever use more than one ? Or, do you always use more than three ? 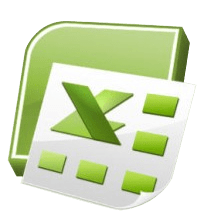 In this Quick-Tip I’ll show you how to set Excel to create new workbooks containing the number of sheets you require, whether it’s one or ten. This Quick-Tip works in both Excel 2007 and 2010 (and perhaps in some older versions as well). The only differences between the two is the different Office Buttons. In Excel 2007 the Office button is a round Windows button, where as in 2010 it’s a green tab. In Excel 2010, Choose Options in the bottom part of the left panel. That’s it, and that’s that.